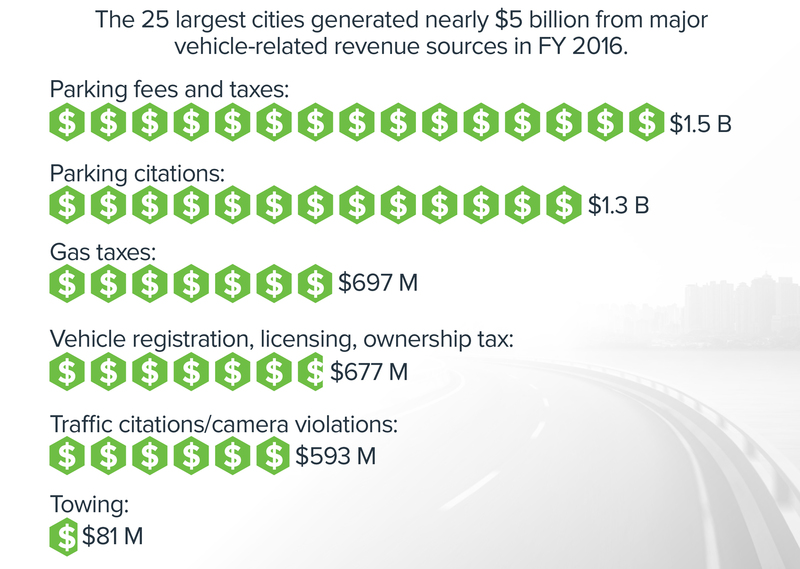 Source: Governing analysis of vehicle-related revenue sources for 2016. Traffic citation revenues were unavailable from four cities. Gas tax revenues exclude general sales taxes on gasoline and include state shared registration fees for Detroit and Denver.